Businesses along the 300 Block of Burlington St. Businesses along the 300 Block of Burlington Street, damaged from the 2006 F2 tornado. Educational use only. Copyright City of Iowa City. 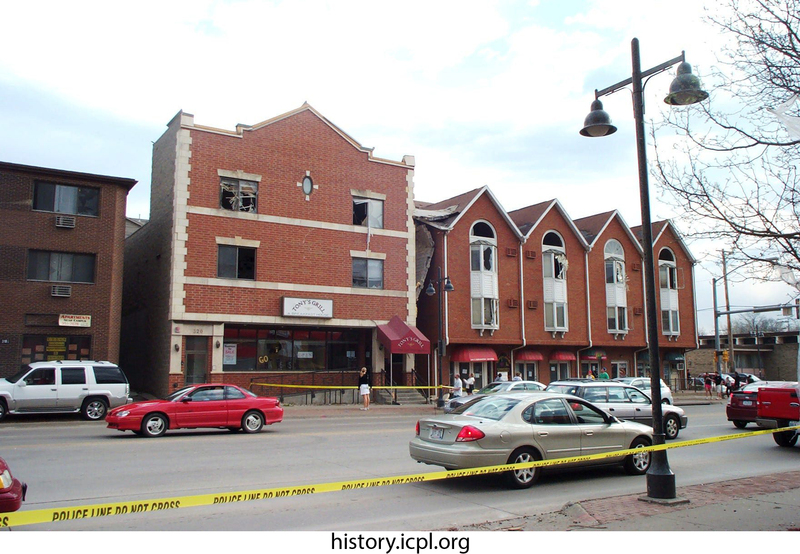 City of Iowa City, “Businesses along the 300 Block of Burlington St.,” Iowa City Public Library, accessed April 19, 2019, http://history.icpl.org/items/show/2558.